“Surely we have a responsibility to leave for future generations a planet that is healthy and habitable by all species” – Sir David Attenborough. Khao Lak Scuba Adventures is a local owned PADI 5 Star Instructor Development Centre and Thailand’s largest live-on-board dive tour operator. Our Manta Queen fleet comprises of 7 boats and 160 staff in total, placing us as the most prominent dive company in Thailand. We are dedicated to being the best role model especially in ensuring the safety of our customers and it is within our great interest to practice sustainable tourism. Our founder and company CEO, Mr Cherdchoo Chatpong is a respectable Thai businessman who has a passion for diving and is actively advocating for the conservation of the environment. He is the driving force in ensuring that the company is moving towards a ‘high-value tourism with low-impact footprints’ and determinedly supporting several eco-projects over the past years. The diving industry is entirely dependent on the preservation of underwater treasures. We understand that divers coming in from every corners of the world are here to witness the beauty of Andaman Sea within the West coasts of Thailand. Therefore, we must be willing to commit to positive changes in our lives no matter how small to make a big difference. Conservation is necessary for a good business operation as it secures jobs, income and most importantly, helps to keep the reefs pristine for future generations. 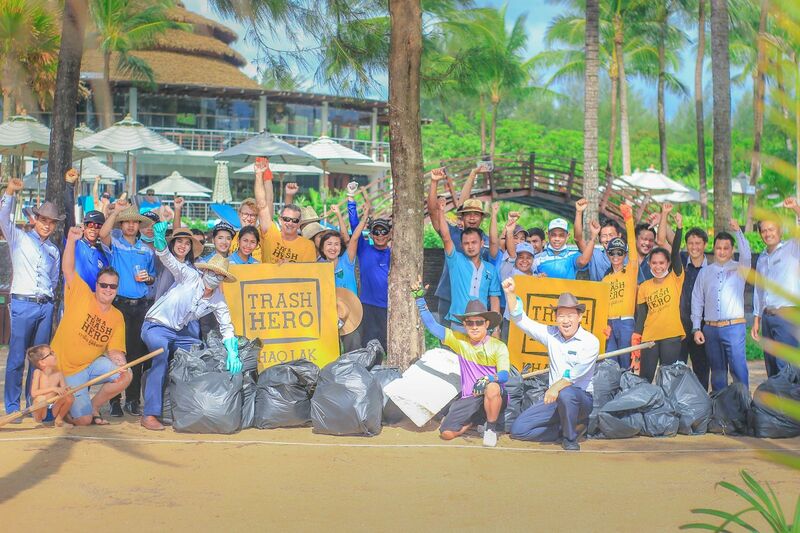 We are proud to share with you some of the ways that our company is doing good for the environment: Trash Hero Khao Lak Every Week: We Clean, We Educate, We Change! Trash Hero is a visionary and global movement aiming to combat the chronic issue of marine debris accumulating on beaches all around the world. It was founded in 2013 and is one of the fast-growing environmental group with 61 chapters operating in over 11 countries. Their concept of ‘No Sign-up, Just Show-up’ has gathered thousands of volunteers during single beach clean-up events in which thousands of tons of trash has been removed from the environment. In Thailand there are 28 official chapters and the Khao Lak chapter began in May 2017 under the flagship of Khao Lak Scuba Adventures. Since then, we have collaborated with government bodies such as the Department of National Parks, Wildlife and Plant Conservation (DNP) and the Department of Marine and Coastal Recourses (DMCR), schools, dive shops, bars, hotels and resorts as well as organised educational talks about marine conservation to the local communities. You can support our effort by purchasing our Trash Hero Khao Lak t-shirt and Trash Hero ‘Love Khao Lak’ reusable flasks or as simple as participating in our weekly beach clean-up. Khao Lak Scuba Adventure is also a proud sponsor for a water refilling station placed within our shop in hope that everyone can refill their flasks for free and refuse from buying plastic bottled water regularly. Khao Lak Scuba Adventures is a partner of the Khao Lak Underwater Museum, an artificial coral reef currently under construction off the shore in front of the La Flora Resort in Bang Niang. 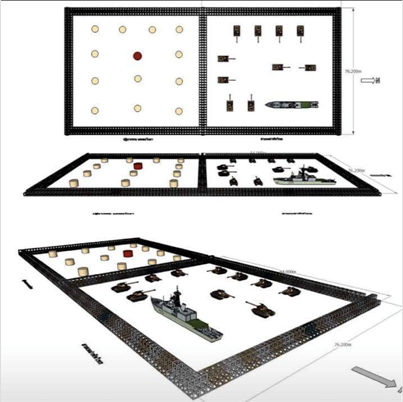 This unique project under the supervision of the Royal Thai family will host in the future dozens of military equipment such as a navy patrol boat, tanks and trucks will become a host for miriads of marine creatures and corals.